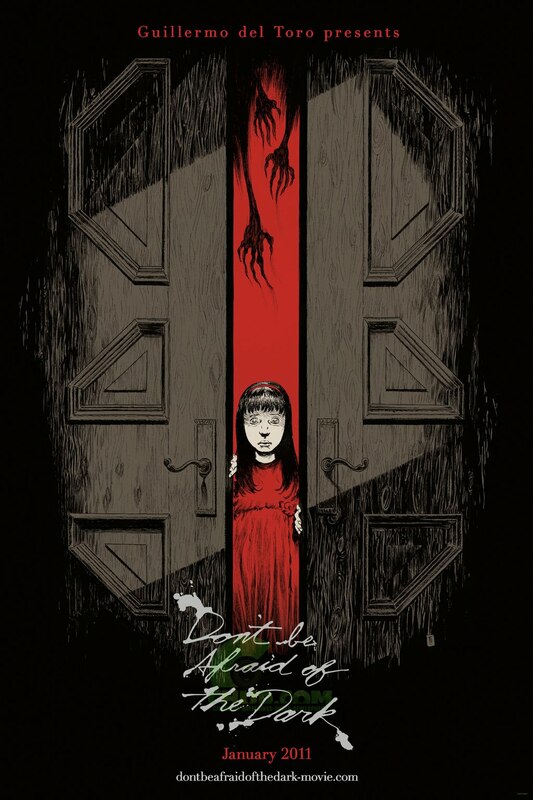 The movie Don’t Be Afraid of the dark (Remake): trailer, clips, photos, soundtrack, news and much more! Don’t Be Afraid Of The Dark – Set us free! Don’t Be Afraid Of The Dark – They don’t like bright lights. Why would those creatures be afraid of the light? What evil lurks behind that door? The film is starring Katie Holmes, Guy Pearce, and Bailee Madison. Just imagine watching this movie in a dark theater: it’s going to be creepy like hell! 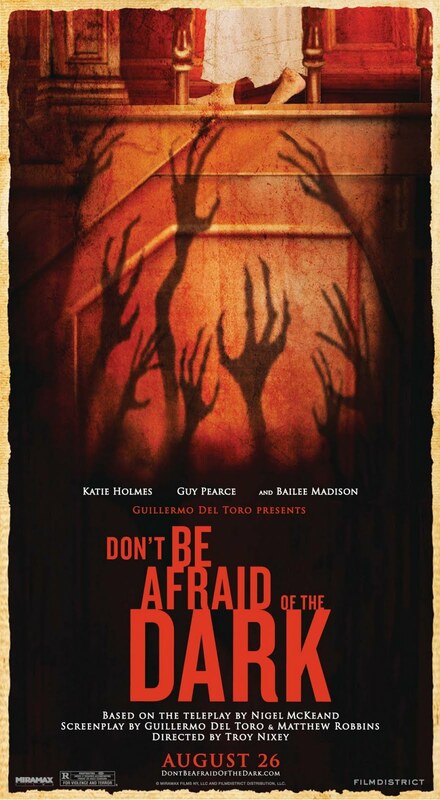 The movie Don’t be afraid of the dark will be released on August 26, 2011. The film will be released on August 26, 2011. 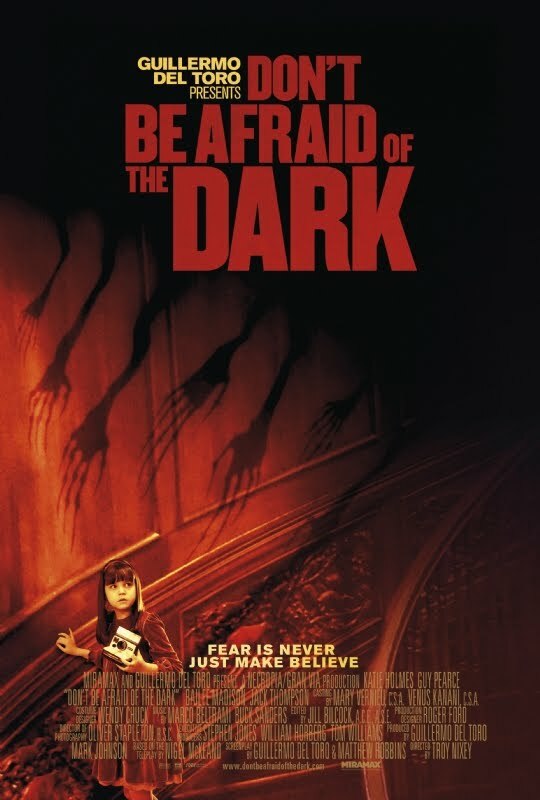 This trailer of Don’t be afraid of the Dark spooked me, I understand why the film is rated R.
Based on a script by Guillermo del Toro, the film is directed by Troy Nixey and is starring Katie Holmes, Guy Pearce, and Bailee Madison. 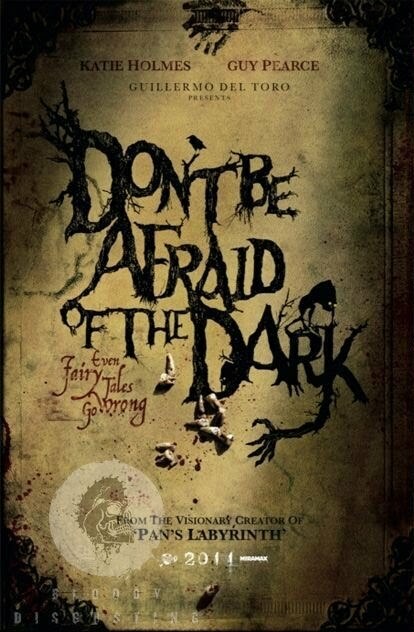 Director Troy Nixey is working on a remake of Don’t be afraid of the Dark (a 1973 Gothic horror ABC TV movie). 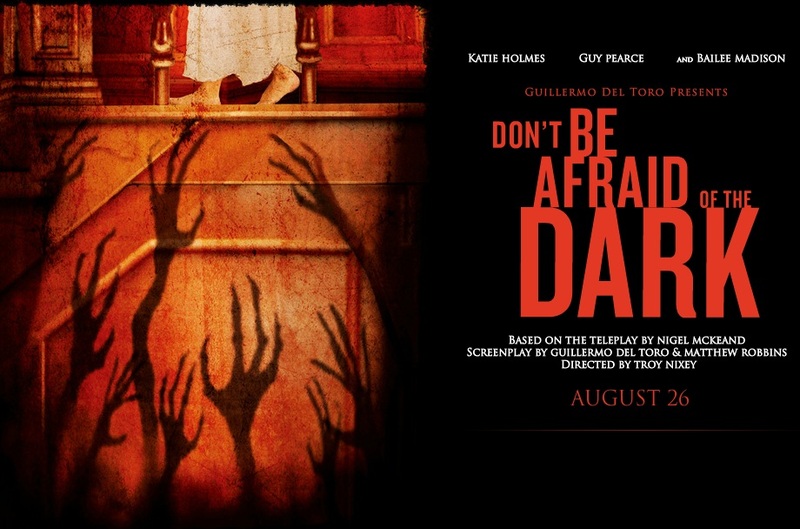 Guillermo del Toro contributed to the script of this new Don’t be afraid of the Dark movie. The film is starring Katie Holmes, Guy Pearce, and Bailee Madison. It will be released on January 21, 2011. 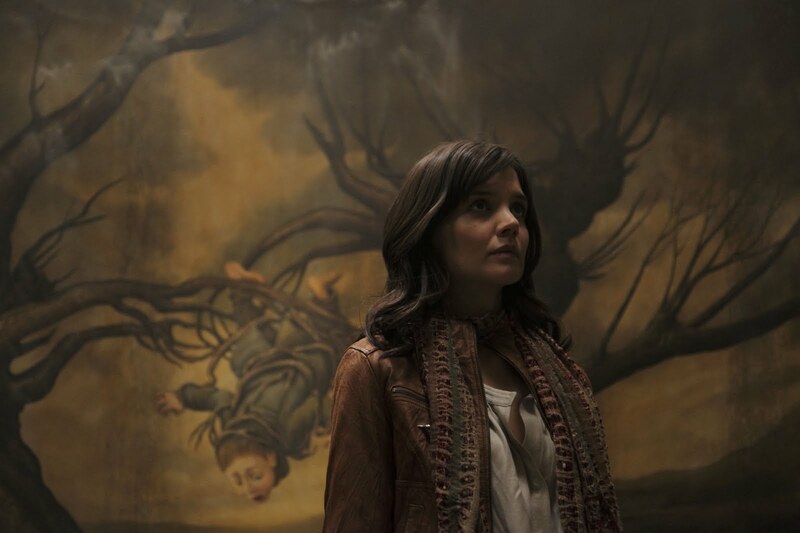 Don’t know what Katie Holmes is looking at, but that painting behind her is creepy enough to get scared… I would not stay in a house with such paintings around… The devil is lurking for sure!